There is no coming judgment! What a beautiful truth! The entire world lives in fear of judgment from God. Feeling like they can never measure up or do enough to please God. And looking at us Christians only reinforces that belief. Most of the church world feels like they need to please God because we really have no understanding of His grace. We have presented Him to the world as a harsh, punitive judge requiring and demanding complete obedience, total service, 10% of our income, and 100% perfection when it comes to sin. And when we don’t meet those demands we believe that He withholds from us His blessings, favor, righteousness, relationship and if we’re really “bad” He sends judgment upon us.. like sickness, disease, trouble, etc….so that we will turn to Him. And if that doesn’t work and we never turn to Him then He sends us to a fiery place called Hell to be tormented and separated from Him FOREVER! I can see why my friend Matt professes to be an atheist…. Not wanting anything to do with a god like that. There is no love or kindness in that kind of god. But thankfully that is not our God!! Our God is a good Father who has ALWAYS loved us. And I am on a mission to present Him to others as He truly is…. Kind, generous, forgiving, merciful, good and above all He is Love. We’ve misunderstood Jesus as our Mediator and we’ve presented Him as one who goes between us and God trying to smooth things over when we mess up. But mediator is mesites in Greek and means an agent of something good! I love that! Jesus came and revealed to us what a Good Father we have. He came to show us what His goodness looked like… that He desired us and was so passionate about us that He sent Jesus to reveal who He is and then was personally present in Christ on the cross reconciling ALL of us back to Him. Jesus was the FULL expression of God’s goodness. We also are the FULL expression of His goodness…. We are agents of goodness just like Jesus. This message on No Penal Substitution helps me to be an even better, more effective agent of His goodness. Taking the truth to people like my friend Matt. Telling them that God never required the death of His Son for us. And He never required sacrifices from us nor does He today. His love is unconditional and always has been! But we’ve taken that term and made it another legal term. I used to see it as Jesus having to remind the Father that I am righteous because He shed His blood for me. Having to remind the Father to accept me!! When all along He was endorsing my true identity and defining my likeness face to face with the Father. The penal atonement teaching has caused us to miss out on the truth in Scripture. Causing us to spend years trying to please a God who we thought was a Judge but who as it turns out was ALWAYS pleased with us. We were taught that God was a demanding God requiring a sacrifice to appease Him. That He required sacrifices in the Old Testament to show them that the ultimate sacrifice would be His Son. And then we read Scriptures like, Jesus was the propitiation for our sins (1 John 2:2 and 1 Jn 4:10). And when you look up the word propitiation in those verses it is hilasmos in Greek and Strongs defines it as an offering to appease or satisfy an angry or offended party; an atoning sacrifice to an angry god. What a terrible definition! All that does is reinforce your belief that He needed appeasement. Yet in 1 John 4 it is used in connection with the Father’s love for us…. _Herein is love, not that we loved God, but that he loved us, and sent his Son to be the propitiation for our sins. _That doesn’t sound like an angry God who needed appeasement. It sounds like a Father who runs passionately after His children, like the father we see in the parable of the prodigal son. And the root of the word propitiation, is “hilaskomai” meaning to have mercy on, to show favor to, to forgive. That doesn’t sound anything like the first meaning! His Son was the expression of His mercy, His favor and His forgiveness. Then you realize Jesus wan’t appeasing God…. He was appeasing us! We thought we needed a sacrifice. The cross was for our benefit! God was not angry with man and therefore sent Jesus as a sacrifice to appease His anger. He didn’t change His mind about humanity after Jesus went to the cross. We had forgotten our true identity. We had forgotten that we were made in the image and according to the likeness of God and given dominion over all things. Jesus came to reveal to us the love and union we have always had with the Father. He didn’t give His life for God but rather gave His life to us, as us. He came as a sacrifice because we needed one, not because God did. He came to put an end to the sacrificial system by being the once and for all sacrifice. God’s heart has never desired sacrifices. Man absorbed that teaching from the pagan nations that surrounded them. God didn’t need the cross, we did. The cross simply revealed the truth of what has always been true. We have always been forgiven, always been righteous, always been holy, and always been saved according to 2 Timothy 1:9-10: who hath saved us and called us with a holy calling, not according to our works but according to His own purpose and grace which was given us in Christ before the world began (10) but is now made manifest (revealed) by the appearing of our Savior, Jesus Christ. Jesus was not God’s plan B for us. He was not God’s reaction to the fall. Our redemption was the eternal plan and purpose of God. Jesus came in grace and truth, revealing the truth of who the Father is and who we are. And the law was given through Moses. It doesn’t say it was given BY God through Moses… just completely, successfully through Moses. The contrast in this verse in John is wonderful. The law was given, it was put into place through Moses. Through is dia which means completely, successfully through. Then it says THE grace and THE truth came dia… completely, successfully through Jesus. The word came is the same word used in John 1:14 the Word BECAME flesh. The Word always was from eternity past and now REVEALED in the boundaries of time…revealed for us to behold. The same with grace and truth. Grace and truth didn’t just show up as an afterthought to the law that Moses gave. Grace and truth ALWAYS were from eternity past and NOW revealed completely, successfully for us to behold through the One who is FULL of grace and truth. Full, pleres in Greek….. full, abounding, complete, completely occupied with. Jesus is Grace. Jesus is Truth. And now the Word becoming flesh made grace and truth something they could see with their physical eyes. David saw a glimpse of the grace and truth of the Father when he realized that sacrifices and burnt offerings were not what the Father required. He said in Psalm 40:6 Sacrifice and offerings You did not desire, my ears You have opened to burnt offerings and sin offerings You did not require. David tells us that God opened his ears to the truth that He did not desire, didn’t delight or take pleasure in sacrifice and offerings. He said You weren’t pleased with them. He said, “You didn’t require them.” In other words, He didn’t ask for them, inquire of them, demand or seek them. How did we miss that? He said God opened his ears. Opened means to dig, to bore or open. And to lay a banquet. God literally ripped open the hard ground in David’s ears and laid a banquet of His grace and truth! David’s ears were full of Moses’ law… full of guilt, condemnation and shame. David constantly messed up! And when he got this revelation, he had just messed up with Bathsheba… committing murder, adultery, covetousness, etc. The law condemned him. And YET he saw the truth of God’s desire regarding sacrifices and burnt offerings. Another definition of desire is moved or bend down. God was not moved by sacrifices nor did He bend down toward them as they offered them. In Hebrew grace (chanan) means to bend or stoop in kindness. We have been taught and believe that the sacrifice of His Son was His grace in action…. His bending down toward us in favor and acceptance. Because His wrath had been appeased and now grace was offered to us. We had no understanding of the word wrath or an understanding that because He is Love… pure Love, and because He is the Spirit of Grace… pure Grace, EVERYTHING He does flows out of that. Wrath is orgeo in Greek meaning passion. But it’s the root of this word that I really like… it is “orego” which means stretching oneself out in order to touch or grasp something. It is a beautiful picture of Jesus stretching Himself out (on the Cross) in order to grasp us. It also means to yearn after, to desire, to stretch toward (to pull towards). The Father in His love for us, desired us and stretched toward us (through Jesus), pulling us to Himself. (1 Cor 5:19 -reconciling us to Himself). 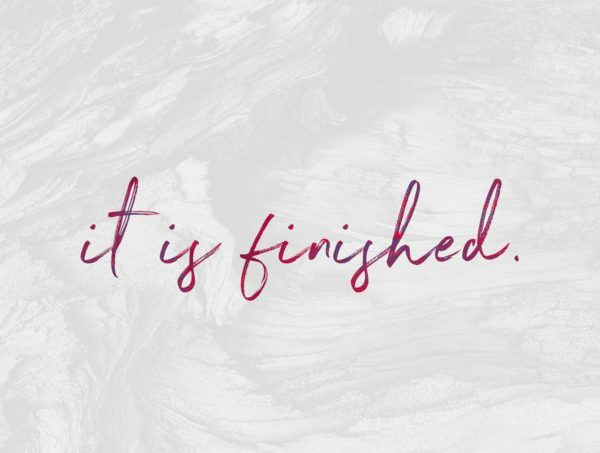 God’s judgments were all satisfied in the passion….in the “wrath” of Jesus Christ….as He stretched Himself out on the Cross drawing ALL men to Himself and as the Father was personally present in Christ on the cross reconciling the world to Himself. There is nothing punitive in the word. Our ears today have the hard ground of penal substitution. But God is doing with us like He did with David. He is ripping the hard ground of our ears with His love so that we can hear His grace and truth. So that we can hear what Jesus came to reveal… our Father’s nature and that we have always had that same nature. So, we can perceive and understand the consuming love God has for us. His unwillingness to let go of us. His passion for us. As Baxter Kruger explains it is His eternal yes to us, a yes to life and fullness of joy for us that translates into an intolerable NO to the destruction of the fall. Wrath is not the opposite of love. Wrath is the love of God in action, in opposing action. God was not an angry diety demanding blood! He did not need the blood of Jesus to enable Him to forgive. God endured the cross because that is what was needed to wake us up to the reality of who He is and who we are. He met us where we were at. Speaking a language that we understood… law and sacrifice. Our idea of sacrifice was that it was necessary to appease an angry God to change His mind and that blood was required in order to extend forgiveness. But God’s mind was not the problem. We were enemies and hostile to God in our minds… but in our distorted thinking it was God who saw us as enemies and was hostile towards us UNTIL Jesus went to the cross. It wasn’t God who required blood… it was the law. Hebrews 9:22 says that almost all things are purified in blood according to the law, and apart from blood shedding there is no forgiveness. The law required that blood be shed in order for there to be forgiveness NOT God! There are three words for forgive in Hebrew… salach (pardon, forgive), kipper (atonement), and nasa (to bear, carry, forgive). All three aren’t even used until after the law was given. Romans 5:13 says that sin was in the world before the law was given, but sin is not charged to anyone’s account where there is no law.You would definitely think Adam, Eve, Cain, Jacob, and others who made HUGE mistakes would’ve asked God to forgive them. Makes me think that forgiveness was not necessary, no matter how big the mistakes. From Adam to Moses was about 2500 years. It’s amazing that something that wasn’t even mentioned for the first 2500 years of history has been a major focus in the church today! So, in the Old Testament they continued to offer sacrifices and burnt offerings for the atonement of sins, for God’s forgiveness. And God continued to speak through His prophets that He didn’t want them and had never wanted them. He was meeting them where they were at. Allowing them to continue to offer these sacrifices because that’s all they knew. He was trying to bring them up higher and higher, but they rejected the prophets words and kept offering the sacrifices like the pagan nations around them. Moses had come out of Egypt where they worshipped and sacrificed to all kinds of gods. Abraham came out of Ur where they did the same thing. They carried those things over. So Moses set up a sacrificial system of atonement. Even though Jeremiah tells us that when God brought them out of Egypt, He never commanded them concerning sacrifice and offerings. God allowed these sacrifices until the time that Jesus would come and be the final once for all sacrifice, doing away forever with the sacrificial system of the law. Jesus came and offered the final sacrifice and then SAT DOWN. The writer of Hebrews says this is the MAIN THING! The priests of the Old Covenant, of the sacrificial system, never sat down. They stood continually, day after day, offering again and again the same sacrifices which could never take away sins. Nor could it perfect anyone or cleanse their consciences the writer of Hebrews tells us. In fact, all those sacrifices did was to continually remind them of their sins. In ascribing to a penal substitution theory, we have made God into someone He is not. And we have ended up worshipping a god of our own making. A god of wrath and judgment. Instead of God who is our good Father whose image and likeness we bear. A God who refused to remain in Heaven without us. A Father who sent His Son to cancel the handwritten code that was against us. To do away with the sacrificial system of the law that said that life was in the blood. Grace and truth revealed that life was IN Him and reminded us that He had breathed that life into us when He created us. Reminding us that we were never outside of His love or His life, we simply forgot who we were. Deuteronomy says they were not mindful of the Rock who begat them and they forgot the Father who fathered them. 1 Peter 1:18 says that they followed the aimless conduct received by tradition from their fathers.The traditional way of doing things was passed on to them. The traditional way of living by their five senses of living from a mistaken identity. They followed after their ancestors not being mindful of and forgetting Whose image and likeness they bore… who they had always been the Father’s sons – from before the foundation. But Ephesians 1:5 says that we were predestined as sons… sons before creation. According to HIS good pleasure. 2 Timothy 1:9-10 says that He has saved us and called us (past tense) with a holy calling not according to our works but according to His purpose in grace which was given to us in Christ Jesus BEFORE TIME ETERNAL. (10) but is now made manifest (revealed) by the appearing of our Savior Jesus Christ. It had nothing to do with man’s failure or the fall. He saved us and called us holy not as a result of responding to man’s fall but according to His own purpose and grace. He had this plan for man’s salvation before the foundation of the world. What was that plan? Jesus coming to reveal the love of our Father and the Father’s plan and purpose BEFORE THE FOUNDATION OF THE WORLD. We were whole (sozo) IN Christ before time eternal. Jesus’ appearing didn’t make us was not to save us or make us holy but to REVEAL (to make manifest, or to make clear and plain) the Father’s love and purpose before the foundation of the world. Jesus’ appearing was not to save us or make us holy but to REVEAL (to make manifest, or to make clear and plain) the Father’s love and purpose before the foundation of the world. We thought the gospel was subject to the appearing — in other words when Jesus appeared then the gospel was brought to earth. But NO, the gospel was what the appearing confirmed. The Gospel was before the foundation of the world! The Gospel always was — it wasn’t a response to the fall. The fall didn’t change God’s mind about us! We were still who He said we were! We have to learn to interpret Scripture correctly. We cannot interpret it right without a correct understanding of the nature of God. He is love! He is nothing but love and can do nothing apart from love. And He does not change. And it is out of who He is, LOVE, that His motives, intentions and dealings with mankind flow. Too often we hear that He is responsible for earthquakes, tsunamis, terrorist attacks, hurricanes, etc. So many people speaking FOR God who don’t have a revelation of His love! So many “prophets” today speaking FOR God into people’s lives not what has ALWAYS been true but speaking conditional promises into them… IF you do this THEN God will do this. Telling them God would like to do this for you or God will do this for you…. instead of God HAS DONE ALL of this for you from before time began…. WALK IN IT! JUST BE! But God is revealing Himself as Love and Grace in a body of believers who are willing to disregard the wrong teaching they’ve accumulated over the years and to say, “Dad show me who YOU are. Because when You show me who You are I will be able to see myself in that reflection. And then as I see ME as who I’ve ALWAYS BEEN and I see what I have ALWAYS HAD, it will flow through me affecting my life and those around me!! This was a hard course. It stretched my understanding in a good way. There were a couple of days where honestly, I felt like I don’t know anything… not even sure how to write this essay. Feeling like this was a new level of deep. A depth that is brand new! Everything we thought we knew about our redemption was based on a lie. It was based on a complete misunderstanding of what took place BEFORE THE CREATION OF THE WORLD. I am so looking forward to going deeper in these classes and increasing my understanding of what Jesus came to reveal! Of what was ALWAYS true from before time began! What an amazing Father we have! A good Daddy who covered everything from start to finish… who provided nothing but rest for us. And all we have to do is be aware of it. And that awareness will cause us to walk in who we truly are… sons and daughters who have never been anything but WHOLE AND COMPLETE IN HIM! !